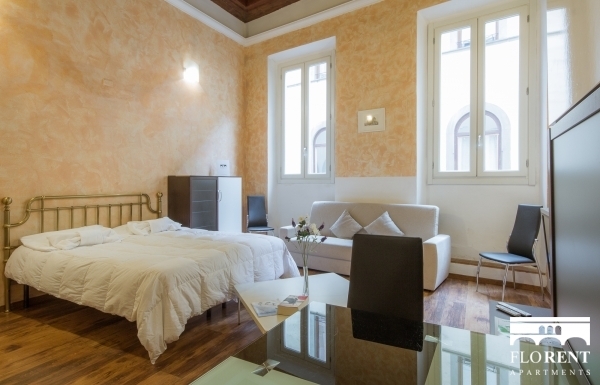 This nice studio, is located on the 1st florr of historic building right behind Piazza Piti, and just few steps from Ponte Vecchio Bridge. 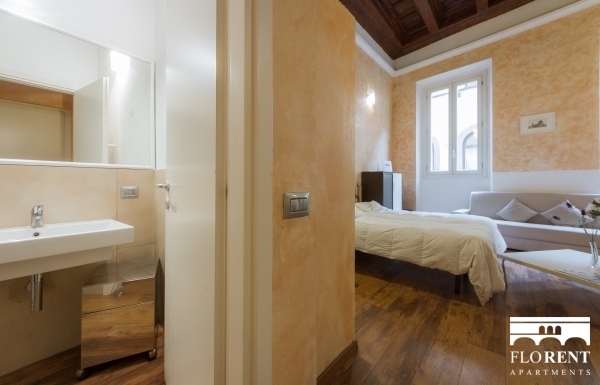 This studio was recently renovated with a modern and functional details. 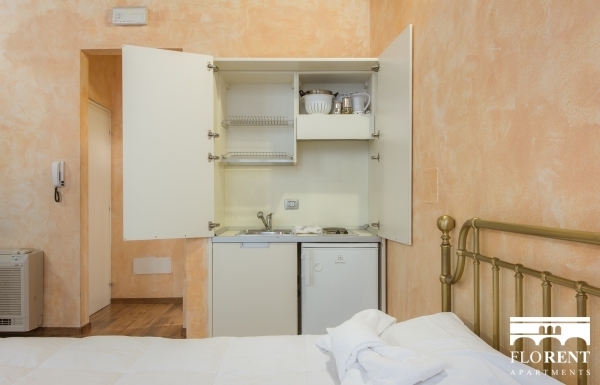 It has a well equip kitchen and a conmfortable king size bed. 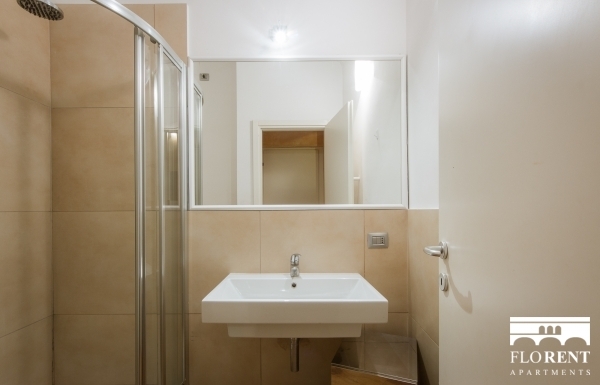 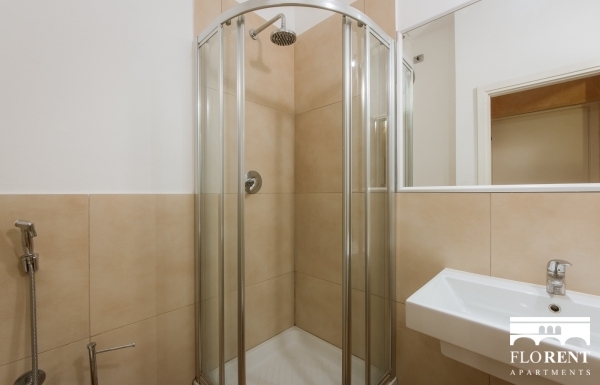 The bathroom is modern, and has a step in the shower. 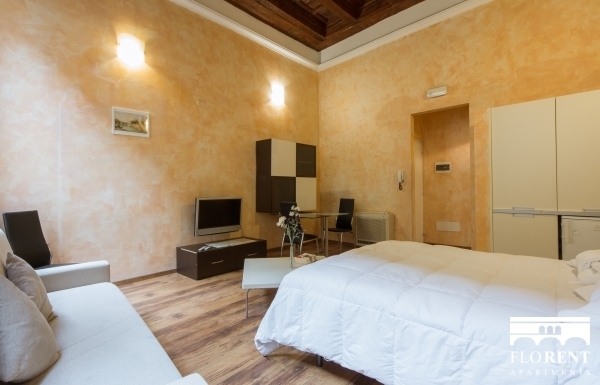 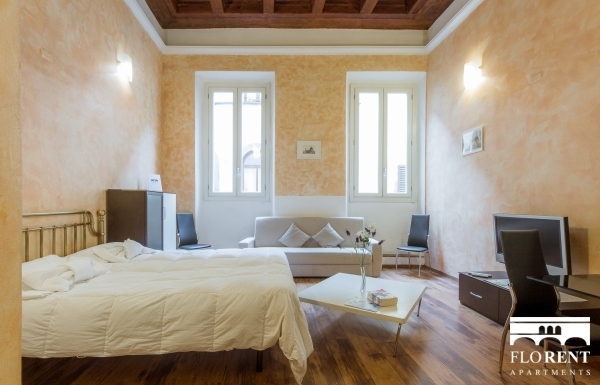 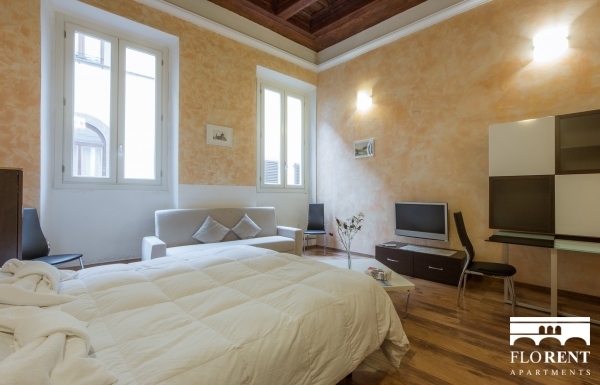 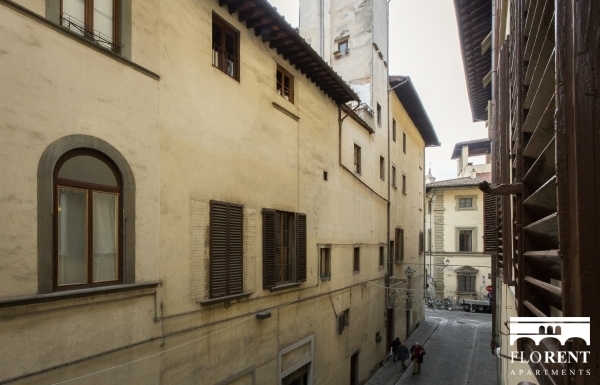 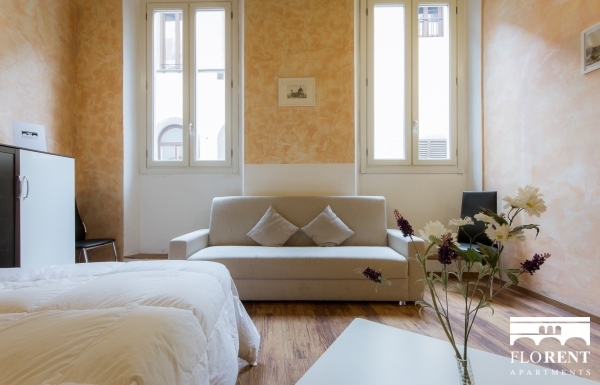 The apartment offers a ideal base for your exploraion in Florence.